In Antarctica India has its own research stations. Now India is set to establish a permanent research facility in the Arctic region near the North Pole to carry out studies in relation to the changing environment of the region and its possible impact on global climate and glaciology. 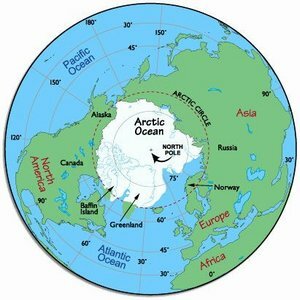 The Arctic is the region around the Earth’s North Pole, opposite the Antarctic region around the South Pole.In the Arctic region Indian researchers would use the research facilities provided by Norwegian Polar Research Institute, Norway. India will now join the race with countries like Norway, Germany, France, Britain, Italy, Japan, South Korea and China in research and exploration of the Arctic region.